A few weeks ago, I found myself with a Friday afternoon off of work and a craving for a cocktail, you know, because Friday. After running through the usual, where do you want to go? I don’t know where do you want to go? 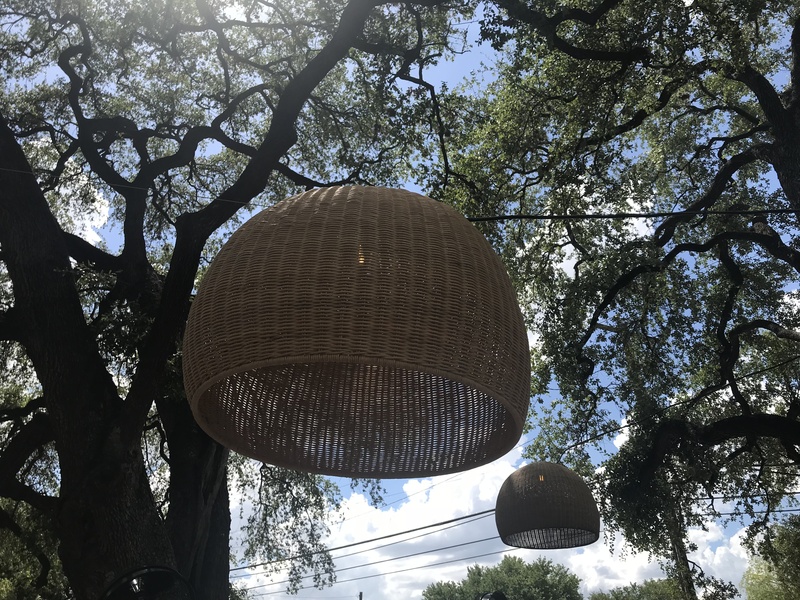 My husband remembered that Loro has an awesome happy hour, and off we went. 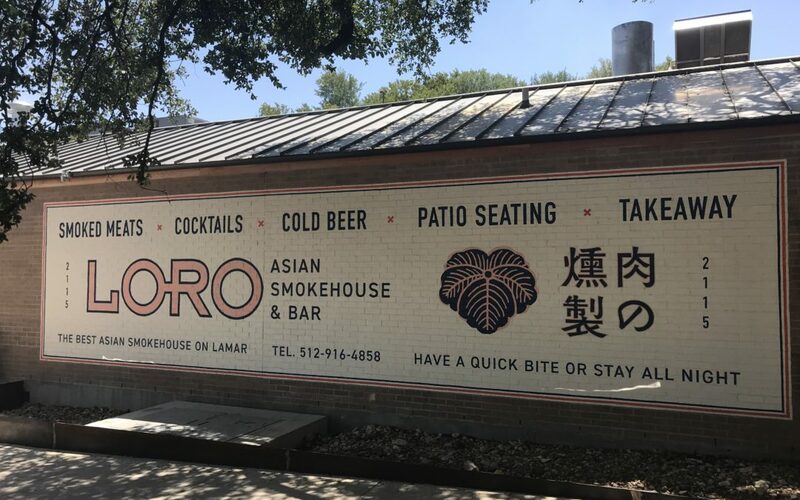 Loro, on south Lamar, is the brainchild of James Beard award winners Aaron Franklin, who happens to be my husband’s man crush, and Tyson Cole of Uchi. 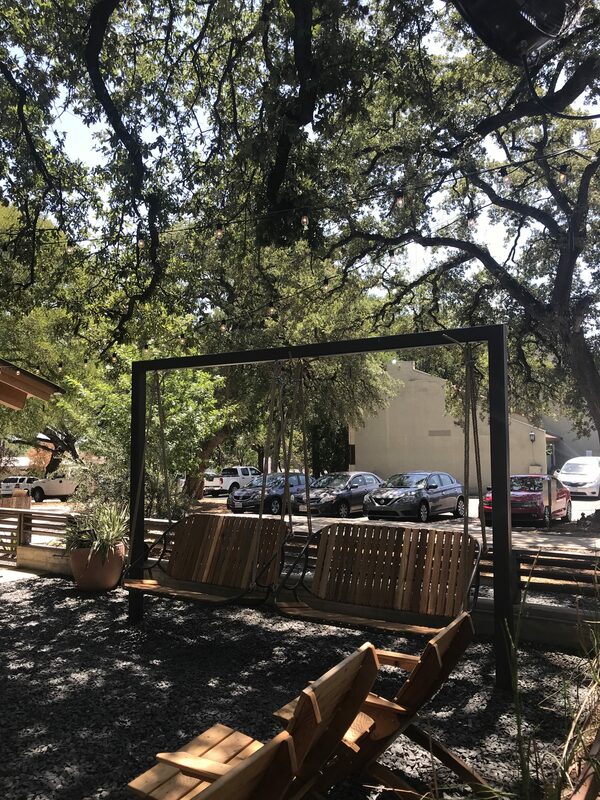 We love this place because it’s casual, delicious and they have a large patio, which is perfect if you want to meet a big group of people, or you have kiddos. 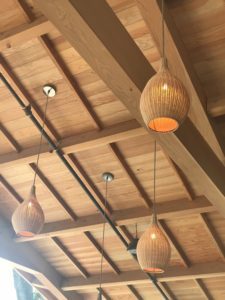 Another reason I love this place is how they used so many natural elements in the design. 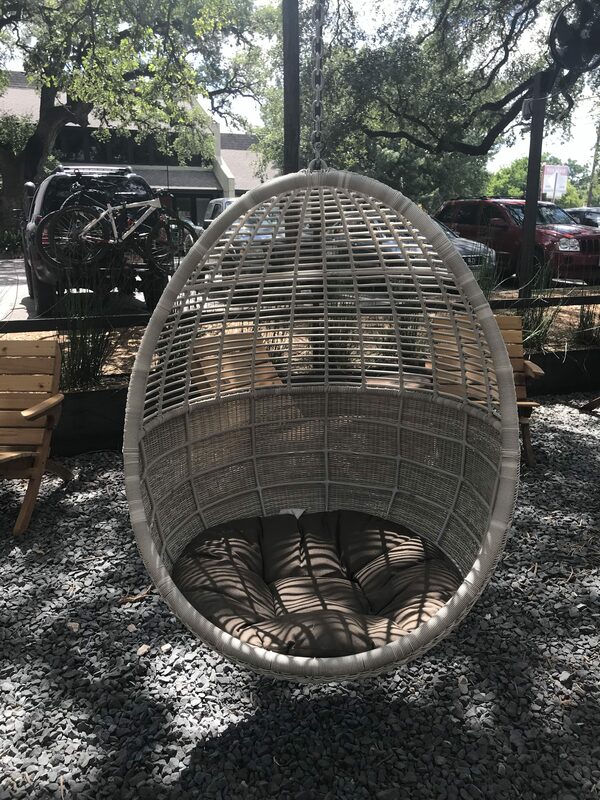 They have rattan chairs hanging from the trees outside. The lights on the patio look like beehives. 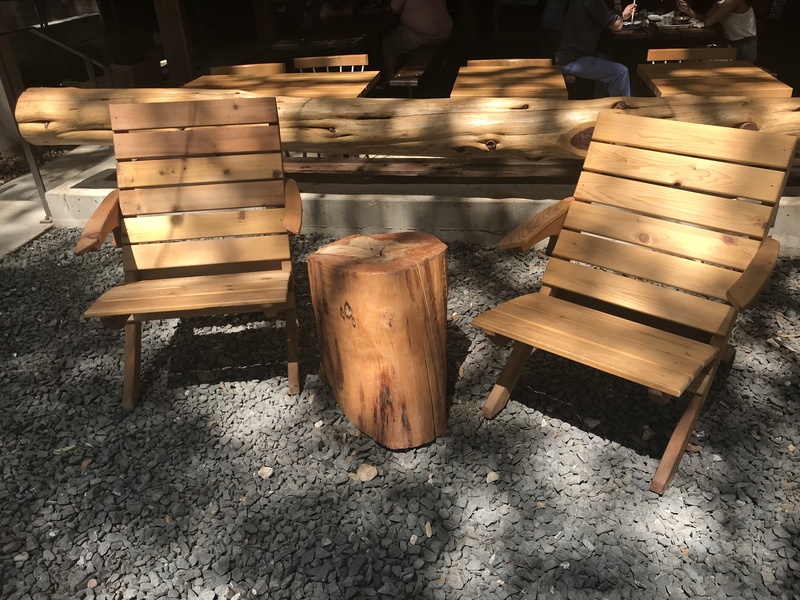 The railings of the outdoor seating area are made from giant logs, and there are chunky little side tables that look like they’re made from the same. 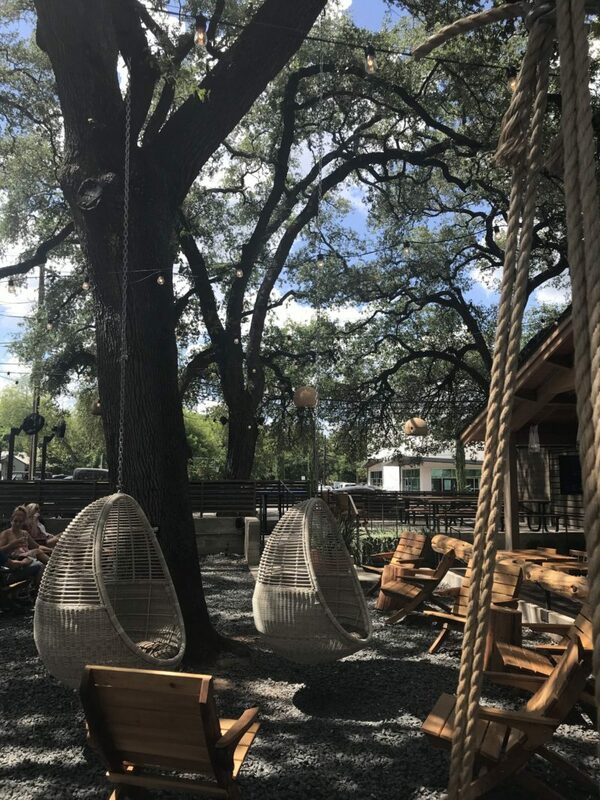 There is an adorable rope swing bench, perfect for a first date. 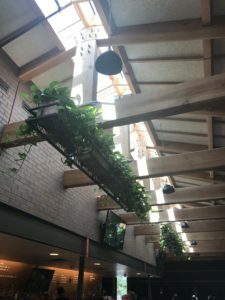 The interior has ivy lining the brick wall above the bar, which is going to look so cool when it grows longer and cascades down the wall. 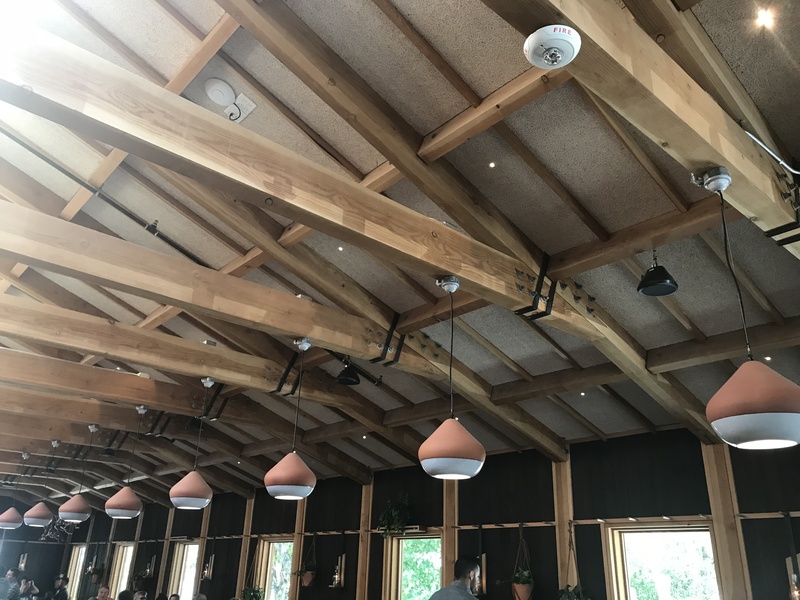 Terra cotta pendant lighting hangs above the tables inside, and they look like maybe they were dipped in white shiny paint. So if you find yourself playing that tired old game; we call it, “You name it, I’ll negate it” Just go to Loro. I recommend the burger, and while you wait for that to come out, order the candied kettle corn. Yum! **If you’re viewing this on your mobile device, keep scrolling, there are more pictures below. Wow! What an amazing collaboration of chefs! And the interiors is so fantastic. I’m curious who did it! Thanks for sharing, I have no idea how I missed this gem!